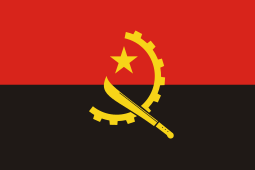 The People's Republic of Angola (Portuguese: República Popular de Angola) was a self-declared socialist state (commonly known as a "communist state" in the West) that was established in 1975 after it was granted independence from Portugal, akin to the situation in Mozambique. 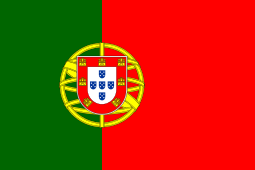 The newly founded nation enjoyed friendly relations with the Soviet Union, Cuba, and the People's Republic of Mozambique. The country was governed by the Popular Movement for the Liberation of Angola (MPLA), which was responsible for its adoption of communism. The group was backed by both Cuba and the Soviet Union. 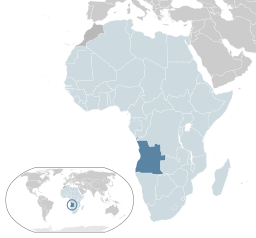 An opposing group, known as the National Union for the Total Independence of Angola (UNITA), sparked a civil war with the MPLA, with the backing from both South Africa and the United States. In 1991, the MPLA and UNITA signed a peace agreement, which would allow for multiparty elections in Angola. Though harsh disputes still followed, the People's Republic of Angola was finally dismantled in 1992, becoming the present day Republic of Angola.